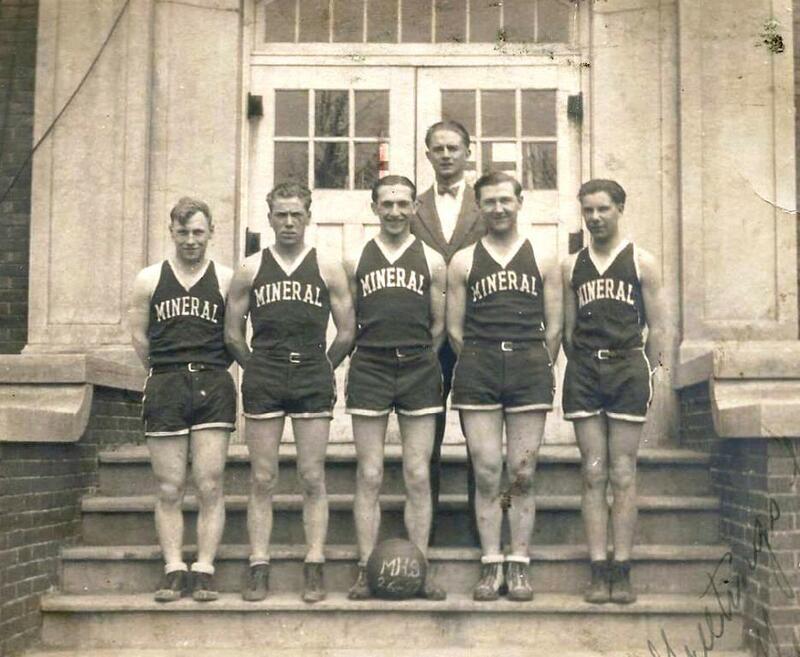 If you have any photos, newspaper articles, or memorabilia from the 1920s about the town of Mineral send them to us and we will add them to this page. The coach's name is also unknown at this time. Any further information regarding this photo or this season is welcome. 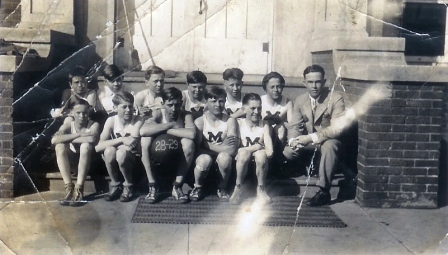 The following two photos were submitted by Twyla (Ulrich) Odegaard (MHS Class of 1942). Twyla retrieved these photos from a scrapbook kept by her brother, Pierce Ulrich (MHS Class of 1933). 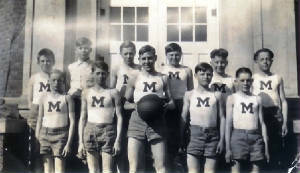 The photos are of the Mineral Grade School basketball team of 1928-29. On the back of one of the photos the following is written. Let us know if you can name the others pictured to the right and below.